One of Wall Street's biggest solar stock bears suddenly changed his tune Thursday. Johnson came on Benzinga's PreMarket Prep morning show to explain why he suddenly sees upside in an industry he's been bearish on since 2006. "Solar power is more expensive than traditional fossil fuels. So, what governments do to incentivize people to implement and use solar power is they provide you a Feed-in Tariff, which is essentially a payment that exceeds the cost of solar. So, if you install it, you get a payment in excess of what it costs to install — making it economically beneficial to you. 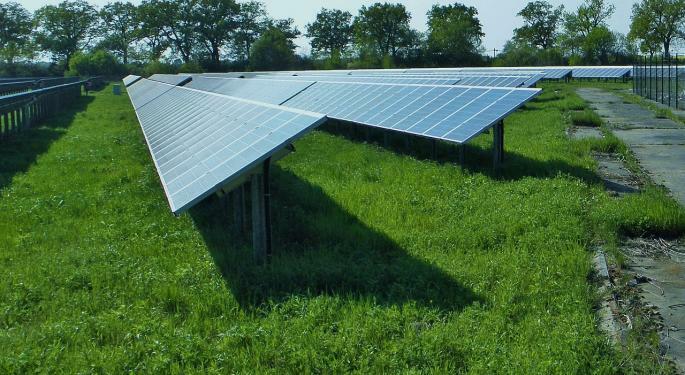 "The way to think about that is if you’re going to install a panel before a Feed-in Tariff cut, that system is a 20-year system that gets that same Feed-in Tariff for the next 20 years. So, if you were thinking of doing a solar project in 2018–2019 and you know there's a 27 percent average cut coming in China July 1, 2017, you're probably going to rush all of a sudden to get that done in the first half of 2017 so you can lock in that 20 year FiT before it gets cut." Johnson explained how Spain experienced the same phenomenon in 2008. That year, they saw about a 400 percent increase in solar demand because of a cut to the Feed-in Tariff. "The reason that is, is because in 2008 the government signaled in 2009 they were going to cap the amount of solar they were subsidizing," Johnson said. "So, all of a sudden you had people rushing to get projects done to lock in those great incentives before they got cut." He continued, "The way to think about this, is solar is very economical, particularly in places with beneficial Feed-in Tariffs, because the government is essentially paying you to do it. So, when governments [cut the FiT] it always creates demand pull-in. Given China is the biggest solar market in the world and they're basically giving you a nine-month lead time to rush and get your utility system done, we think you’re going to have the demand pull-in of all demand pull-ins in that market — which is going to push prices higher we think." Trina Solar is rumored to be going private at $11.60, but that didn't stop Johnson from giving the stock a $15 price target. "The point is, if industry fundamentals turn and stocks start to move higher, and Trina sees that its stock is being weighed down by this go-private offer, we think they’ll pull the go-private offer. In fact, we don't know how real it is in the first place," Johnson said. "The reason why we’ve upgraded SolarCity to hold is No. 1, we initiated a Sell in the $40s; No 2., typically when solar stocks move higher, which we think they are, other stocks follow suit. Even though, anecdotally, higher module prices [are] actually quite negative for the rooftop boys. "[W]e think solar stocks moving higher in general will push other solar stocks higher. Essentially, we’re taking our ball home. We’re calling it quits on the short. We think you want to be long these things. All these stocks have underperformed the market to some degree. We think that given the underperformance of these stocks, investors are going to revisit these things, particularly the clean energy funds out there, and that could provide some significant multiple expansion for these stocks." However, Johnson reiterated his long-term thesis on the industry, saying that these changes present a short-term opportunity for investors. "I just want to make it clear, our long-term subdued outlook on solar technology and stocks remains firmly entrenched. However, what we see here is a three- to six-month opportunity." 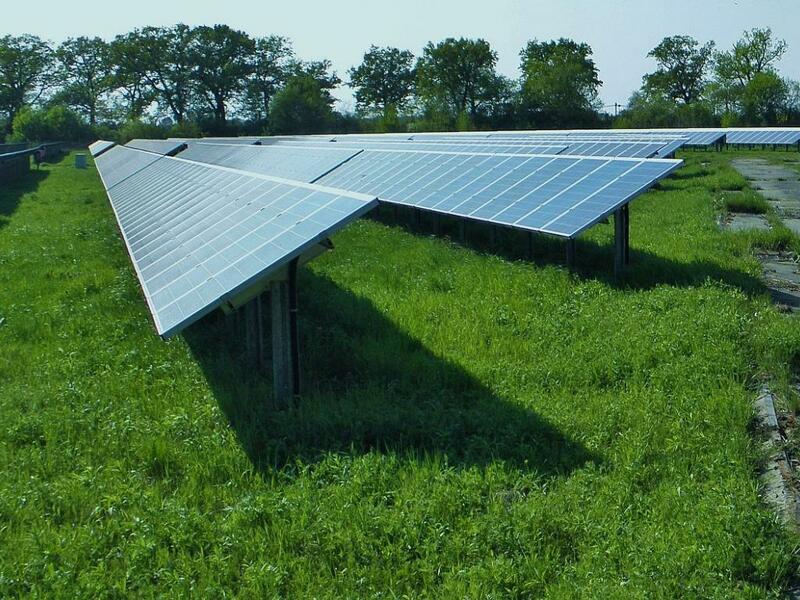 Johnson continued, "There were a couple of times that we've upgraded the stocks due to exactly this [...] but in general, we've been bearish solar stocks all along. And we maintain our bearish long-term view." JA Solar was up 4.32 percent at $6.88. SolarCity was down 2.64 percent at $19.51. ADRs of Trina Solar were up 1.22 percent at $10.39. Yinglin was up 4.11 percent at $4.05. Listen to the full discussion at 9:06 in the clip below. PreMarket Prep is a daily trading ideas show that focuses on technical analysis and actionable short term trades. You can listen to the show live every morning from 8-9 ET here, or catch the podcast here.